Following J.J. Abrams’ iconic use of IMAX cameras in Star Wars: The Force Awakens, IMAX and Lucasfilm have announced that director Rian Johnson has captured key sequences of Star Wars: The Last Jedi using IMAX’s extremely high-resolution cameras, delivering IMAX audiences greater scope and increased image quality in IMAX’s exclusive aspect ratio for a uniquely immersive experience. The news of Johnson leveraging IMAX cameras for key sequences of Star Wars: The Last Jedi comes as part of an extended slate deal announcement between IMAX and The Walt Disney Studios. Building on their existing long-standing relationship, the two companies announced today that they have extended their multi-faceted agreement with a new multi-picture deal — beginning this year and extending through 2019 —that includes the much-anticipated live-action and animated tentpole releases from Walt Disney Animation Studios, Pixar, Marvel and Lucasfilm. 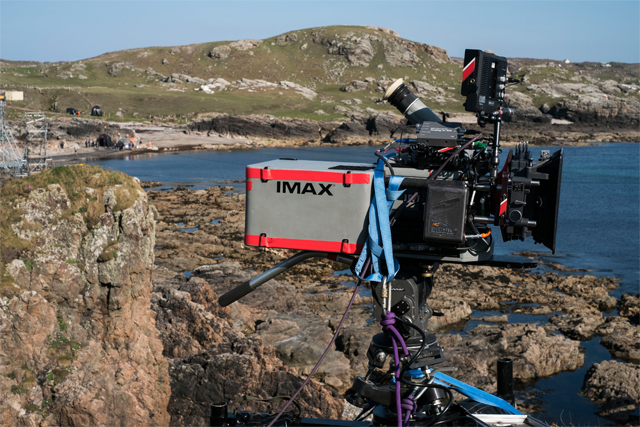 As part of the new agreement, both companies will work together to create exclusive IMAX marketing materials, particularly for those films captured using IMAX cameras or featuring an expanded aspect ratio exclusively in IMAX theatres. In 2016, Disney occupied four of the top ten IMAX spots at the global box office, including Rogue One: A Star Wars Story, Captain America: Civil War, Doctor Strange and The Jungle Book.